A Chance to perform live with your Music Idol! Every Participant of India Rocks India must be an Indian Citizen or a Permanent Indian Resident who is eligible to work Full Time in India. Participant should be of 18 yrs or above. Neither the participant nor any of his / her immediate family members (spouse, ex spouse, parents, siblings, children, stepchildren) or members of their household (whether or not related to you) are current employees, directors, officers, independent contractors, agents, or representatives of Idea Cellular Limited, Fountainhead Entertainment Pvt. Ltd., or Digital L&K Saatchi &Saatchi. 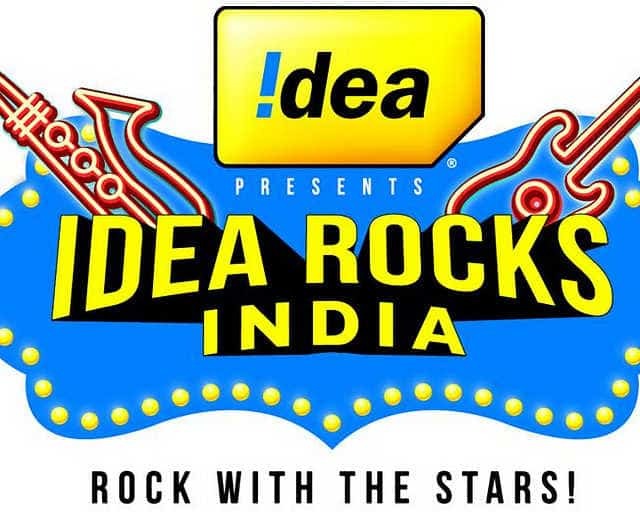 Idea rocks India was conceptualised in 2005, Idea Rocks India is now in its 6th edition. The Person can audition to perform solo, duo or instrumental. Participation in the IVR process for IDEA users - This process of submission of entry is exclusively for IDEA Cellular Ltd. subscribers ONLY. Just Dial 5545610- Rs. 1 call charges per minute. Visit Idea Rocks India Official Website. Each participant will get three chances to record their song for the auditions. The participant will get one minute time to record their song. Through Facebook Record Your entry using the "Audition Room" app on Facebook. Each participant will get 3 chances to record their song. their own instruments to the audition and the main concert.